Wherever you visit in Essex, you will experience the dread of trying to find a parking space. Lakeside Shopping Centre welcomes half a million visitors each week, with parking spaces for 13,000 vehicles. Even with the large number of car parks available, it can still seem impossible to reverse into a space. Combined with busy environments, the competition to safely find a space can be off-putting to learner drivers. Why do I need to learn how to park in a bay? Good bay parking skills are vital. Often, being able to reverse into a parking space is the only way to park at certain locations. Many people try to park as close as possible to their destination and can be ruthless once they’ve found a coveted spot. It may be tempting to simply drive straight into a parking space, however this can cause complications when leaving. When reversing out of a parking space, your view of oncoming traffic and other obstructions is greatly affected. If you’re driving at night, or have passengers in the back seat, you may not be able to exit the space safely. Learning to reverse into a parking space may seem daunting, however it’s a skill that will both save time and increase your safety once you’ve passed. How is a bay park assessed? It’s vital that you master all three elements to ensure a pass. Make sure that you are parked between the lines, with enough room for cars on either side. This may seem impossible, but it’s not necessary to reverse in first time. You are allowed to make adjustments on the angle of your car, pausing where necessary. Keep the car at a steady pace, using the clutch rather than the accelerator and the brake to move. Don’t make any sharp movements with the steering wheel, as you’ll risk crashing into other cars. 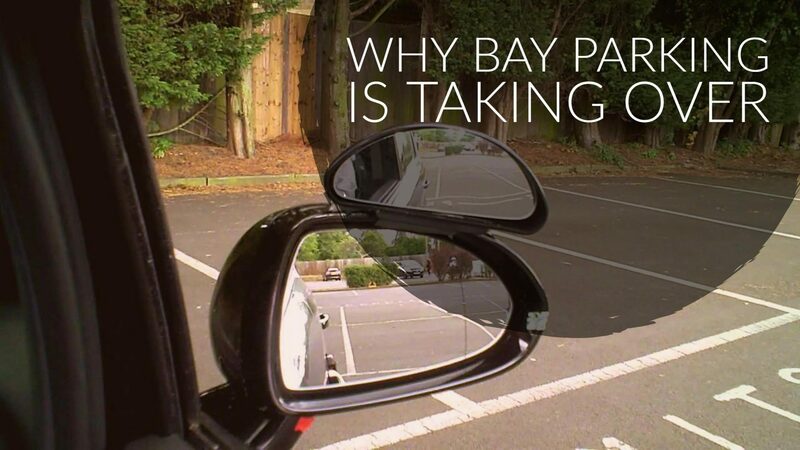 Bay parking zones are often located near busy destinations, so keeping a close eye on your surroundings is key. Use your mirrors carefully, looking out for other cars and pedestrians. Once you’ve successfully mastered bay parking, you’ll be able to visit and successfully park in a huge number of places. If you need help perfecting the manoeuvre, get in touch with Alfie’s Driving School to book a lesson from only £20.